Saturday, December 3rd marks the United Nation's 20thInternational Day of Persons with Disabilities. This international day of observance promotes recognition of the rights, inherent dignity, and inclusion of people with disability. It gives us an opportunity to join with people around the world to renew our shared commitment to ensuring that people with disabilities realize human and civil rights. It reminds us that there remains work to be done here and abroad. The United States has been a leader in ending discrimination and exclusion of people with disabilities and our strong body of civil rights laws, including Section 504 of the Rehabilitation Act of 1973 (Section 504), the Americans with Disabilities Act (ADA) and the Individuals with Disabilities Education Act (IDEA) have been models for laws in other countries, evidenced in DREDF'sDirectory of National Disability Non-Discrimination Laws. The principles of non-discrimination, access, and reasonable accommodation embedded in our laws are among the foundations of the UN Convention on the Rights of Persons with Disabilities (CRPD). The CRPD, which entered into force in May 2008, has been ratified by 106 countries, and was signed by the United States in 2009. Signing the CRPD means that the US will not take actions that violate the objectives of the Convention, but we are not bound by its legal obligations. If the US ratifies the CRPD, it becomes law. There is movement toward ratification of the CRPD led by the US International Council on Disabilities(USICD). As a member of USICD, DREDF is working with them to recruit people in target states to lead grassroots efforts to promote ratification. If you're interested in being one of the leaders we'd like to hear from you. Contact Becky Lyons at DREDF and she'll follow up with you. The CRPD is important because it is a collective statement of inclusion. Globally, especially in countries without disability rights laws, it is being used as a tool by people with disabilities to ensure that they have meaningful access to public services and social supports that promote their economic freedom and freedom of choice. In countries like the US that already have strong disability rights laws, the CRPD can promote further positive change. Over time, the CRPD will impact the lives of 650 million people with disabilities. It can change the environment for people with disabilities around the world who have been living on the margins of society, excluded from participating in their communities because of barriers to education and employment or worse, institutionalized because of their disability. The CRPD will make a difference to millions of children with disabilities around the world who remain excluded from school. The CRPD recognizes the right of children with disabilities to be included in general education. The World Health Organization's 2011 World Report on Disability provides staggeringly disappointing statistics on the education of children with disabilities. Just one: The gap in primary school attendance rates between disabled and non-disabled children ranges from 10% in India to 60% in Indonesia (see page 207 of the WHO Report). Like our IDEA, the CRPD can revolutionize education for children with disabilities. "A convention will ultimately be judged on whether it reaches into small places - all the places where people ordinarily live, work and interact. Potentially it should help bring about a sea change in attitudes in small places. Potentially it should open up small places to everybody. A convention is not a panacea. But it can and should be an indispensable catalyst for change." Don't forget: If you're interested in joining the nationwide effort to encourage the Senate to ratify the CRPD, contact Becky Lyons. Possuir alguma deficiência, seja ela física, sensorial, intelectual ou múltipla, ou ter a mobilidade reduzida, é ter de enfrentar, diariamente, inúmeras barreiras de locomo??o. Nos aeroportos, a situa? ?o n?o é diferente. Com o intuito de melhorar o atendimento a esse público, foi realizado, de 21 de novembro até ontem, um curso no Aeroporto Internacional Pinto Martins, em cumprimento à política de acessibilidade da Infraero, realizada pela assessoria da Presidência. O curso contou com cerca de 90 participantes, entre servidores, lojistas, funcionários de locadoras de veículos e comunidade portuária em geral. Após uma série de debates sobre a temática, chegou a hora dos participantes simularem o dia a dia de um deficiente. Com muletas, cadeiras de rodas ou os olhos vendados, eles saíram, acompanhados de algum colega, pelos corredores do Pinto Martins. O objetivo era sentir na pele as dificuldades dessas pessoas. A agente de prote? ?o Nagela Magalh?es, de 36 anos, mesmo acompanhada de uma pessoa, disse se sentir insegura por andar com os olhos vendados. Dificuldade semelhante sentiu o profissional de servi?o aeroportuário Francisco Valdecy Lopes, de 51 anos. Sentado em uma cadeira de rodas, ele conta que gostou da experiência, pois p?de se sentir no lugar do outro. No seu caso, como parte do treinamento, estava utilizando muletas, mas passou mal e precisou de uma cadeira de rodas. Simula? ?es à parte, o publicitário Xyco Theophilo, que é portador de deficiência física e anda de cadeira de rodas, afirma que o problema maior n?o está no aeroporto, mas no embarque e desembarque. "Continuamos embarcando como sacos de batata", queixa-se. Sua reclama? ?o é por n?o existir nenhuma tecnologia que tire a pessoa da cadeira de rodas e coloque na poltrona do avi?o com conforto, afirma. Theophilo destaca que os deficientes brasileiros, 23,9% da popula? ?o, querem embarcar em sua cadeira de rodas, assim como nos ?nibus e táxis. No encerramento do curso, os participantes contaram com palestra do músico Davi Valente, portador de deficiência físico-motora congênita. Depois, ele fez um show na Pra?a de Alimenta? ?o do Aeroporto. O objetivo do 2o Dia Nacional da Pessoa com Deficiência em Parques e Atra? ?es Turísticas (DNPD), que é celebrado no dia 29, é mostrar a importancia da acessibilidade em parques temáticos e atra? ?es turísticas de todo o Brasil. A iniciativa de responsabilidade social visa compor o maior movimento de inclus?o de pessoas com deficiência. Idealizada pelo Sistema Integrado de Parques e Atra? ?es Turísticas (Sindepat) em parceria com a Associa? ?o das Empresas de Parques de Divers?es do Brasil (Adibra), essa foi a forma que os complexos de lazer encontraram para proporcionar a esses visitantes momentos de total conforto, tranquilidade e seguran?a. Neste dia, empreendimentos associados as duas entidades estar?o abertos, simultaneamente, recebendo de forma gratuita entidades que atendam a pessoas com deficiência. Com programa? ?o especial, parques e atra? ?es oferecem sem custo a todo participante, passaporte para as atra? ?es e muitos deles lanches e refrigerantes. "Para garantir maior conforto e total seguran?a durante o evento, todas as pessoas com deficiência est?o acompanhadas de alguém indicado pela institui? ?o, um amigo, familiar ou monitor", diz o presidente do Sindepat, Alain Baldacci. Além disso, os empreendimentos contam com a ajuda de voluntários capacitados para auxiliar no atendimento aos presentes. Muitos parques e atra? ?es já possuem programas de atendimentos específicos às pessoas com deficiência. "Isso facilitou a decis?o de se realizar uma data em que todos pudessem realizar a atividade no mesmo dia, assim como é o Dia Nacional da Alegria, em que parques e atra? ?es abrem gratuitamente para receber crian?as carentes. A realiza? ?o desse evento proporciona a todos os empreendimentos a oportunidade de aprimorar cada vez mais seus servi?os e promover a esse tipo de visitante uma estadia com total seguran?a e divers?o", declara Baldacci. Bill Forrester have written a down to earth argument for a new approach to disability. It looks at the disability community as consumer and examines the impact on tourism. The 2011 National Disability Awards have been announced, with nine individuals and organisations recognised for their work to improve the lives of people with disability at a gala dinner at Parliament House. More than 270 people attended the dinner which saw outstanding grassroots campaigners, businesses and local governments that provide jobs for people with disability, social housing providers, and a national park organisation committed to accessibility all take home awards. Speaking at the gala dinner in Canberra, Prime Minister Julia Gillard congratulated each of the recipients for their "outstanding and lasting contribution to the disability sector." More than 400 nominations were received from Not for Profit organisations, businesses, local governments and disability advocates for this year's awards - more than double the number from 2010. Gillard presented a special 'Prime Minister's Outstanding Achievement Award' to John Walsh, who she said played a pivotal role as an Associate Commissioner in preparing the Productivity Commission's report to Government on long-term disability care and support which recommended the establishment of a National Disability Insurance Scheme. A grassroots campaigner for the rights of people with disability, Frank Hall-Bentick has contributed to improving human rights for people with disability for more than thirty years. He played a pivotal role in the development of United Nations Convention on the Rights of Persons with Disabilities, and successfully lobbied for its ratification in Australia in 2008. Katrina Lancaster was the recipient of the 2011 Parramatta Lord Mayor's Youth Award, completed a Bachelor of Community Welfare, and was named Deaf Australia's 2009 Deaf Youth of the Year for her work and volunteer commitments with the deaf community. Partnering with Kommercial, a local Australian Disability Enterprise, Alcoa Point Henry provides supported employment for more than 30 people with disability, and has teamed up with highly regarded children's program Rainbow Riders, an equine-assisted growth and learning centre. The City of Mandurah is working closely with Intework to create exciting and rewarding jobs for 44 young people with intellectual disability in areas such as community equipment maintenance, environmental clean-up, gardening and repairs. TADACT is a Not for Profit organisation, which specialises in creating or modifying equipment for people with disability, including a Kinetic Stander, which won the 2010 Australian Institute of Project Management Award in the Not for Profit category within the ACT. Housing Choices Australia has delivered more social housing over the past two years than any other community housing provider in Victoria, including 100 high-quality units for people with disability. Parks Victoria has actively embraced universal design and access principles, including introducing all-terrain wheelchair equipment in some parks and a Sailability program. Parks Victoria has also developed an accessibility guide for park rangers and grants to community organisations to help improve visitation and participation. Nance is seen as one of Australia's most lauded radio journalists. The judges noted her relentless, powerful and timely coverage of people with an intellectual disability, and commended her work as an important contribution to the advancement of disability rights. The National Disability Awards form part of the Australian Government's celebration of the United Nations' International Day of People with Disability (IDPwD) which is held each year on 3 December. The judges for the awards included Australian of the Year and patron of IDPwD, Simon McKeon, and five of the six Disability Community Leaders, appointed by the Australian Government to champion the cause of people with disability within their local communities. A military veteran from the Chicago metropolitan area will get the keys to a new home next year thanks to members of the Chicago NFL Players' Association (NFLPA) Former Players' Chapter, Chicago area home builders associations, the Newport Cove community in Lake County and an anonymous donor. The groups have joined together to construct a new home for a military veteran wounded in Afghanistan or Iraq. "We want to give back," said Reggie Smith, president of the Chicago NFLPA Former Players' Chapter. "It's our way of thanking the men and women who put their lives on the line for our country." The home will be constructed by custom home builder New American Homes of Hawthorn Woods, Ill., and will be located in Newport Cove, an award-winning planned community of 67 homes located on 42 waterfront acres on the Chain O' Lakes near Antioch. It will be a LIFEhouse? featuring universal design principles such as no-step entrances, wide doorways and passageways, an accessible bathroom with no-step showers and roll-under sinks, accessible kitchen and laundry, easy-opening windows and doors, and energy-saving features. "The house is being designed to accommodate the special needs of the wounded veteran," said Rita Unzner, executive officer of the Home Builders Association of Greater Chicago. "It will not only be functional, but also beautiful, a place where the vet and his or her family can heal and grow." LIFEhouse? is an award-winning collaboration between New American Homes and the IDeA (Inclusive Design and Environmental Research) Center at the State University of New York at Buffalo. LIFEhouse? homes are 1,992-square-feet with three or four bedrooms and three baths plus a full lower level. The first LIFEhouse? was built in 2009 in Newport Cove and is open to the public. "The home building industry has been suffering in this economy," said Susanne Tauke, president of New American Homes. "This is a way of turning lemons into lemonade. Thanks to a very generous donation of seed money and partners like the NFLPA and home builders groups, we are able to work together to create something that will be a wonderful gift for a wounded veteran." Members of three Chicago area home builders associations (HBAGC, Northern Illinois HBA and Fox Valley HBA) will be donating products and labor for the home. The project is part of Touchdown for Homes, a nationwide charitable outreach program of the National Association of Home Builders and the NFLPA that brings together local home builders' associations and former NFL players to strengthen communities by building or renovating homes for children or families in need and veterans. Last spring the Chicago NFLPA former players chapter and home builders associations worked together to help renovate Chicago's AMI Kids, an alternative school for troubled children. "Our home builders want to use their skills to do something valuable for the communities we live and work in," said Unzner. "We hope to encourage people to join with us to build many projects like this home for a deserving wounded veteran." The Reeve Foundation has just released the 2011 Holiday Gift Guide for Individuals Living with Paralysis. Foundation staff and community members have rounded up dozens of useful products, with links on where to find them, in categories ranging from travel to active living to wheelchair accessories to assistive technology. There's even a category for splurges. Along with my writing (I'm working on a cookbook about people foods for pets) and blogging, and after having been a designer, salesperson, business person, Realtor, writer, proofreader, and ...I am currently engaged in my best project yet. I am working with my daughter Elisabeth who is a medical researcher, having been awarded grants to do quantitative and qualitative analysis of issues regarding public health. She recently met a woman who trains service dogs for several applications including multiple sclerosis, PTSD, autism and the mental and physical disabilities. Elisabeth had interacted with several people with MS, most of whom were not aware of the positive contributions service dogs can make toward improving their quality of life. Since I have worked with her in the past, helping write her grant applications, PhD thesis, and a book, she asked me to work with her. We had been studying the symptoms and effects of MS and met a woman from the Orlando area who trains and places service dogs. When she was ready to pair two MS patients with service dogs, she invited us to join her "boot camp" to observe the contributions of the dogs to their partners. We have been observing the interactions between service dogs and their partners and are totally convinced that we must raise awareness among the general public that service dogs are more than just seeing-eye dogs. The effects of the pairing of the dogs with their partners were astounding. The dogs guide wheelchairs, help prevent falls, open doors, press elevator buttons, retrieve dropped objects, turn on lights, and, perhaps most encouraging, contribute to improving the mood and eliminating the isolation experienced by the physically challenged. With the service dogs, MS patients can get around by themselves and experience the independence that their illness destroyed. I spoke to one of the participants a day after she arrived home and she said that for the first time in years, she awakened happy and eager to get on with her day. She hadn't even realized that she had been suffering from depression as a result of her MS.
Elisabeth and I ultimately intend apply for a grant to conduct a research project to prove that there is a significant improvement to the quality of life for MS patients as a result of their partnering with service dogs, Since the grant process takes so long, we have decided first to write a book to chronicle the lives of some of the people and their dogs. That way we will be able to raise awareness and get the word out more efficiently. I'm now doing what I've always wanted to do--write a cookbook, about dog food and people food. Carlson Studio has the capacity to create fully ADA complaint way finding and interpretative exhibits. This product is suitable for both indoor and outdoor applications and can incorporate a digitally printed color image on the relief surface. In October I took 24-day trip to Miami and Orlando, Florida. I had been there before, but it is always so nice to be back. I just love this place. Love everything there; the warm weather, the fun parks and people smiling everywhere , the restaurants, lakes, and of course the shopping. There is a place where you can find anything you want. But, especially for me coming from Brazil, there one thing that I enjoy the most and even feel I little bit jealous, the ACESSIBILITY! Yes people, I consider everything there accessible, at least for someone in a wheelchair. I saw ramps everywhere, the buses were accessible, the parks, hotels. There was not a place where I could not go. Maybe for people in wheelchair who were born in a place like this they may think that it′s not a big deal. But think about someone who lives a different reality. Imagine you living in a wheelchair, not having a car, and the place where you live doesn′t have an accessible bus? It becmes almost impossible to leave the house, to work, and do other things. It is very sad. Well, but let′s go back to the trip. This time we rented a very nice house so everyone could be accommodated with comfort and space. The good thing about renting a house is that you almost feel like you are at home. The bad thing is that you need to make your bed every day. You need to go to the supermarket to buy some food, but its fun and makes you feel like living in a different country for a while. During my flight from Miami to Orlando the people from American Airlines very badly damaged one of my wheels. I realized that it would be impossible for me to use my wheelchair like that, so I went to the baggage claim and told them what happened. Fortunately, I was very well cared for by the American Airlines staff.They immediately put me in contact with a company called " Quest Mobility Solutions" that supports them in these situations. As soon as they contacted the Quest staff, I waited only 15 minutes for one of them meet me at the airport and check my wheels. I highly recommend their services because they were very efficient. Well, with the wheels were fixed let′s go have some fun! This trip we went to three parks; Universal Studios, Island of Adventure and Magic Kingdom. It′s so exciting and so much fun to be there. People in wheelchairs can participate in all the attractions, even the rollercoaster. But I do not recommend it if you don′t have good strength in your upper body. Some activities you can do without transferring from your chair. For others you need to transfer. Right in the park entrance you find a map that provided very detailed iformation about all the attractions and whether you need to transfer from your chair. While I was at the Island of Adventure Park I saw many children in wheelchairs, with different disabilities, been guided by monitors wearing t-shirts from "Miracle Flights.org". I thought that so interesting and looked over the internet to see what that′s about. Miracle Flights for Kids? is the nation's leading nonprofit health and welfare organization with a mission of helping families overcome financial obstacles by flying their seriously ill children to receive proper medical care and to get second opinions. It sounded like such a neat job and made me feel very glad to see those children having the opportunity to travel and have fun. Well people, I suppose I could tell you just a little bit about my emotions and feelings during this trip. Perhaps I could tell a lot more, but the essence is here and you won′t get to tired to read it. Norwegian prize to reward innovative, user-friendly accessibility solutions. won by the main prize - The Innovation Prize! DogA (the Norwegian Centre for Design and Architecture). Ambassador since 2003," says Scandic Norway's CVP Svein Arild Steen-Mevold. functional solutions produces universal design at a high level. is welcoming and elegant. All guests are accommodated well and included. electric wheelchairs and much more besides. The interior is also designed with people with environmental diseases in mind, i.e. The Shafallah Center for Children with Special Needs would like to extend a warm invitation for you to submit abstracts for the 5th International Shafallah Forum in Doha, Qatar from January 22nd - January 24th, 2012. The Center has been delighted to welcome more than 250 experts in the field and dignitaries from all over the world to our Forum and we anticipate that this year's Forum will be no exception. The Forum will bring together advocates, family members, scholars, members of government, and professionals from a variety of perspectives to explore the theme of Crises, Conflict and Disability: Ensuring Equality. Together we will highlight aspects of humanitarian crises and conflict from preparedness to response to recovery and rebuilding for persons with disabilities. Under Article 11 (Situations of Risk and Humanitarian Emergencies) of the UN Convention on the Rights of Persons with Disabilities, countries party to the Convention and the international community must take all necessary measures to ensure the protection and safety of persons with disabilities during situations of armed conflict, humanitarian emergencies, and natural disasters. Forum delegates will showcase the latest developments in inclusive emergency planning and their centrality to responding to and mitigating harm to persons with disabilities and their families during emergency situations under the following thematic areas. "UNCRPD", how do the UN Convention on the Rights of Persons with Disabilities and the international community ensure the protection and safety of persons with disabilities during situations of armed conflict, humanitarian emergencies, and natural disasters? "Inclusive Policies and Legislation", how can national laws, policies, and regulations provide guidance, methods and strategies to integrate and coordinate emergency management inclusive of persons with disabilities? "Personal Preparedness", what should persons with disabilities know to be prepared for emergency situations? What lessons have we learned from past experiences? "Emergency Response", what are the current shortfalls (physical and cultural) that put persons with disabilities at risk during emergencies; and what can we do to improve the situation (new technologies and disaster planning)? "Refugee Camps", how does disability affect people's experiences as refugees and other displaced persons; what programs and best practices are in place to protect and promote the rights of persons with disabilities during their period of displacement? "Rebuilding", how must persons with disabilities be factored in to the resettlement and rebuilding process; does an opportunity for ensuring universal access exist in the rebuilding process? "Recovery", featuring real-life experiences of persons with disabilities before and after disaster, how does one return to work and home; does an opportunity exist for ending the stigma associated with disability? An accepted presentation to the Shafallah Forum includes complimentary airfare, meals, and accommodation. We hope that you will join us this January in Doha and participate in international dialogue among your peers. Please visit our website at www.shafallah.org.qa orhttp://www.shafallahforum.org Abstracts are due by 5pm EST December 15th, 2011. Individuals may present their research on the form of a poster. Posters allow for more extended discussion with delegates interested in the content area of the poster. Posters should be attended by at least one author/director who can address questions related to the poster's content. Individuals should submit title and abstract details for each poster presentation offered following the instructions below. Submission of poster collectives (related research) is encouraged. Discussion about the interpretation of existing research, the state of knowledge in a particular area or the need for more or different kinds of research/programming/policies, can be as important as presenting the results of new studies. Individuals wishing to organize such roundtable discussions or debates should identify three or four speakers, who can each present a point of view. Where discussion and audience participation is the purpose, speakers' presentations might be limited to 5 minutes. Where debate between the speakers is the purpose, presentations may be longer (10 minutes). Organizers should submit the details of the discussion or debate following the instructions below. Abstract: This should be no more than 200 words and describe the Aim, Method, Outcomes, and Conclusions of the study using these headings. Type of presentation: State whether (a) research-based paper with data or (b) review paper or (c) service description or (d) personal experience. List: Authors, affiliations, e-mail addresses and titles of papers to be included in the symposium. Moderator: Give the name and affiliation of the person who has agreed to moderate the symposium. Give the contact details for moderator (email, phone & address). Abstract: Each paper should submit an abstract. This should be no more than 200 words and describe the Aim, Method, Outcomes, and Conclusions of the study using these headings. Author(s): Give the name and affiliation of each participant noting the moderator with an asterisk. Abstract: This should be no more than 400 words and describe the background behind the issue to be discussed or debated and the views to be put forth by each speaker. Host: Give the name, affiliation, e-mail, and phone of the person hosting the exhibit. Please label the subject line: Shafallah Forum Abstract. Failure to do so may result in abstract not being viewed. We're looking for people who have made a difference in their community and inspired or supported disabled people, to be Torchbearers in the London 2012 Paralympic Torch Relay. It could be a disabled person who has achieved personal success, the teacher who removes barriers to include pupils with a disability in sport, the family member who cares for someone with a disability or many others. Anyone can be a Paralympic Torchbearer whether you are disabled or not. Watch live here on Tuesday, 22 November, 10am EST. In the lead-up to the UN Conference on Sustainable Development (Rio+20) to take place in Rio de Janeiro in June 2012, UN Secretary-General Ban Ki-moon is launching a global conversation on issues of sustainability and the future we want. YOU can also be part of this global conversation. Next June, the United Nations will bring the world together in Rio de Janeiro, Brazil, to discuss and decide how to accelerate action for a healthier, more equitable and more prosperous world for all. · How can we help people move out of poverty and get good jobs, while protecting the environment? · How can we provide access to clean energy for everyone? · How can we make sure that everyone can get the water, food and nutrition they need? · How can we shape our cities so that everyone can enjoy a decent quality of life? · How can we make sure that our oceans and marine life are healthy? · How can we make sure that our communities are resilient in the face of natural disasters? What are your questions, plans, expectations or comments? Send them in on Facebook or Twitter (#askrio) and we will share them with the panelists. Selected questions will be answered at the event on 22 November, 10am EST. During the period 2006 - 2008 Verdal was one of the Norwegian pilots for the project "Universal Design." From 2009 to 2013 the municipality is a local resource local for "Universal Design". Read about Universal Design (Norwegian) on the web page of The Ministry of environment - also see the ministrys page for Universal design. Architect Danise Levine of the University at Buffalo has completed design work with the Wounded Warrior Home Project, which will finish construction on two houses for wounded veterans today (Nov. 11) in Fort Belvoir, Va.
Levine is assistant director of UB's Center for Inclusive Design and Environmental Access (IDeA Center). As an architect with experience in universal design and accessible design, she is part of the expert team that designed the homes for veterans and their families. The houses will fit the unique physical and emotional needs of the soldiers who will move in. The dwellings are universally designed to be accessible to people of diverse abilities and ages. Sliding interior doors and wider hallways reduce obstructions and optimize maneuverability within the home. The sink, stove and table are equipped with automatic lifts that adjust their height to fit different users at the touch of a switch. Designers even took the appearance of the floor into account; contrasting floor patterns make it easy for residents with reduced vision to identify where one floor space ends and the next begins. "The collaborative nature of the project allowed all members of the design team to contribute in their area of expertise, which I think shows in the strength of the final product," Levine says. Both new homes -- the Freedom Home and the Patriot Home -- address a variety of challenges that veterans might face. Exterior lights at entry points provide enhanced security and comfort for people suffering from post-traumatic stress disorder (PTSD), traumatic brain injuries and vision loss. Glass doors provide visual access to the outside. Automatic entry doors that are wider than usual provide unobstructed accessibility for someone with a limb amputation or to a person who uses a wheelchair. Canada: In the Region of Peel, Ontario, a complimentary Business Breakfast Symposium will be held at the Embassy Grand Convention Centre to provide the business community with tools and information to help implement inclusive and equal services for all customers. Local Government officials will speak on legislation and requirements, while others from the corporate sector will provide insight on making businesses more accessible for persons with disabilities. The event will conclude with a networking session and a trade show displaying information of resources available for businesses to help them comply with local disability legislation. More information: Tel: (905-791-7800); www.peelregion.ca;Bushra.Mukhtar@peelregion.ca. United Kingdom: The Cottsway Housing in the West Oxfordshire District will hold an 'Advisory Day'. Local and national service providers will on hand to answer questions on understanding benefits and available services for persons with disabilities and their carers. FREE head and feet massages, nail therapy sessions, arm chair exercises, refreshments and much more. Local shops will join in by providing refreshments and prizes for the free draw, as well as receive comments from shoppers with disabilities as to how they can work with them to make their shopping experience a pleasurable one. United States: Variety the Children's Charity provides much needed assistance to children with mobility concerns. This year to commemorate the Day, Variety Tents in Los Angeles will provide children with disabilities a bike to fit their needs. The organization will also coordinate a nationwide effort to provide communities and local supporters with a practical way to improve accessibility and mobility for children with disabilities. More information: www.usvariety.org. BSP 2011 - Barra da Tijuca - PETROBRAS SURF PELAS FLORESTAS - ADAPT SURF from Tymer Maricato on Vimeo. Andrew J. Garnett, president and CEO of Special Needs Group ( http://www.specialneedsgroup.com ), the leading global provider of special needs equipment for the travel industry, announced today that the company is launching a powerful, unprecedented online Accessible Travel Advocate course for all travel professionals. The one-hour, three-module program objectives focus on understanding accessible travel, building expertise in accessible travel and demonstrating accessible travel advocacy skills. These are critical subject matter areas for travel professionals if they wish to service the fastest-growing segment in the travel industry -- the accessible travel market. This groundbreaking initiative represents the first time travel professionals can become conversant with this market segment through online study and testing. The program will be available on Nov. 14 and can be accessed via the SNG Travel Agent Resource Center. Agents can access this by registering for the SNG Travel Affiliate Program at http://www.specialneedsgroup.com/agents . Special Needs Group has also formed a new advisory board, the SNG Inner Circle, consisting of key players in the travel industry such as cruise line CEOs, etc. The board will convene several times per year to discuss key travel accessibility issues and how to improve travel experiences for individuals with special needs. The SNG Inner Circle will be meeting for the first time on Nov. 3 at Travel Weekly's CruiseWorld 2011 in Fort Lauderdale. 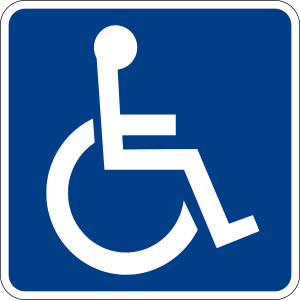 Twenty percent (62 million) of the U.S. population has some form of disability, and the number of these individuals is increasing daily. Americans with disabilities spend $13.6 billion annually on travel. Studies show that 24 million disabled Americans would travel/travel more frequently if their special needs were met. Baby Boomers and mature adults took 340 million domestic vacations in 2006 and 110 million international trips from 2004-2006. The mature market alone spent $192 billion in travel expenditures. These markets contain many "slow walkers" individuals who do not consider themselves disabled, but who could benefit from special needs products and services. "With this course, we hope to not only help travel professionals generate incremental and profitable business, but to also play a critical role as we strive to fulfill our mission of delivering an accessible world," Garnett stated. For more information about the SNG Certified Accessible Travel Advocate program, SNG Travel Agent Affiliate Program and the SNG Resource Center, please call 1-800-513-4515 or visit http://www.specialneedsgroup.com/agents . Special Needs Group is the industry's only total special needs travel solution. It is located at 2860 West State Road 84, Suite 107, Fort Lauderdale, FL 33312. For more information, visit http://www.specialneedsgroup.com or call 1-800-513-4515. A musician with a social message, Marcelo Yuka was at the height of his success as the songwriter, drummer and leader of O Rappa -- one of the main Brazilian pop-rock bands in the 90s. But in 2000, nine gunshots during an assault in Rio de Janeiro put him in a wheelchair at age 34. This documentary accompanies Yuka's transformation since then, revealing his irreverence and complexity as an artist and activist. While searching for physical, mental and spiritual health, Yuka takes risks with new sounds and follows the signs in an unceasing struggle for social justice and peace. Aos 34 anos, Marcelo Yuka estava no auge do sucesso como baterista e líder da banda O Rappa, uma das mais importantes do cenário pop rock dos anos 90. Mas em novembro de 2000 sua vida mudaria radicalmente ao levar 9 tiros num assalto no Rio de Janeiro. O documentário de Daniela Broitman, acompanha a transforma? ?o do músico desde o incidente, revelando a irreverência e complexidade do Yuka homem, artista e ativista. O espectador compartilha de maneira íntima seus questionamentos em rela? ?o ao próprio corpo, mente e espírito, assim como sua nova produ? ?o musical e luta por justi?a social e paz. Technical standards already exist to make web sites accessible for people with perceptual and motor disabilities, while research is underway to better understand web design for cognitive disabilities. Despite the existing resources and knowledge, many categories of web sites continue to be inaccessible for people with perceptual and motor disabilities. For instance, over 90% of federal government web sites are inaccessible for people with disabilities, denying users access to important government information. Social media tools tend to be inaccessible, cutting people with disabilities out of the chance to socialize with friends and contribute to important discussions, both interpersonal and societal. E-commerce web sites are inaccessible, often meaning that people with disabilities are denied the online-only discounts available on the web. Online employment applications are often inaccessible, denying people with disabilities the ability to apply for jobs on an equal footing. This presentation will provide an overview of web accessibility for people with disabilities, including the technical standards and laws, as well as reporting on recent research projects documenting how inaccessible web sites lead to various forms of discrimination against people with disabilities. Compa?ía Cervecera donará 7.050 euros a la asociación deportiva para personas con discapacidad Ademi Tenerife, cantidad que responde a la entrega de 10 euros por cada una de las 705 personas que consiguieron concluir el pasado domingo el 'XXI Medio Marathon Santa Cruz de Tenerife', celebrado en la capital tinerfe?a y del que la entidad ha sido patrocinadora. Con esta aportación, Compa?ía Cervecera pretende promover el desarrollo del Proyecto 'Deporte para todos', un programa que desarrolla Ademi Tenerife que aspira a gestionar el deporte adaptado en el sur de la Isla, desde Arico a Santiago del Teide, y que está dirigido a que las personas con discapacidad de esta zona se inicien en la práctica deportiva, además de favorecer su integración social. Precisamente, el primer deportista clasificado del Club Ademi en la prueba de ayer fue óliver Cabrera González, un joven de 14 a?os que forma parte del grupo de las 33 personas con discapacidad que pudieron iniciarse en el deporte a través del proyecto Deporte para Todos. Con la aportación que Compa?ía Cervecera efectuó tras la edición de la Medio Marathon de 2010, se sufragó el pago de la monitora del equipo de fútbol sala para personas con discapacidad intelectual, así como la compra del material deportivo adaptado y la reparación de sillas de ruedas para la práctica del baloncesto. El encuentro contó con la participación de un grupo de trabajadores de Compa?ía Cervecera que quisieron sumarse a la carrera y solidarizarse con la iniciativa llevada a cabo por la empresa. La acción desarrollada por Compa?ía Cervecera se enmarca dentro de las iniciativas de inversión social que desarrolla la entidad y que persiguen mejorar el bienestar de la comunidad, apostando por su crecimiento. Given at the Executive Chamber in Boston, this twenty-fourth day of August, in the year two thousand and eleven, and of the Independence of the United States of America, the two hundred and thirty-fifth. Responsible Tourism is about taking responsibility, responding, taking action to address the social, economic and environmental issues of sustainability that arise in destinations. It is about doing something about it. It is about, making a difference. It is in destinations that tourists and local communities interact in the local natural and socio-cultural environment. It is in destinations that tourism needs to be managed in order to minimise negative impacts and to maximise positive ones. The management of tourism in destinations cannot be reduced to the environmental agenda, it is as important to consider the economic and social issues that arise in destinations. Our world's destinations are diverse reflecting the natural diversity of our planet and the wealth of cultures that have arisen as people evolved in different environments and with particular histories, cultures and understanding of the world and of our place in it. Responsible Tourism celebrates that diversity and recognises that whilst destinations can learn from what has been done elsewhere, all solutions are local requiring the engagement of a unique set of stakeholders. Issues and priorities vary from place to place, only solutions which address the particularities are likely to be successful. These defining characteristics of particular places and communities, the very reasons that make them different from where we live and therefore worth visiting, must be addressed if effective solutions are to be implemented. South Africa was the first country to adopt an explicitly Responsible Tourism strategy, challenging the stakeholders to take responsibility for developing forms of tourism that would benefit the new South Africa. The first International Conference on Responsible Tourism in Destinations took place in Cape Town in August 2002 as a side event of the Johannesburg World Summit on Sustainable Development. It was this international conference attended by 280 delegates from 20 countries which passed the Cape Town Declaration on Responsible Tourism in Destinations which founded a movement which challenges all stakeholders to engage with the issues which arise in destinations and to do what they can to address them. 2009 The Belize Declaration on cruising, second homes, climate change, local economic development and tourism's impacts in the coastal zone. To receive further information about Responsible Tourism in Destination conferences subscribe to our newsletter. The U.S. population is aging and many seniors want to continue living independently in their own homes. Creating a safe, livable environment to foster aging in place through universal design without the home screaming "this was made for old people" can be an easy task for professional remodelers. The same design features that make a home comfortable for older people also work for younger families. "Aging in place continues to grow in popularity among homeowners because applying universal design principles in the home transforms it into a multi-generational living space," notes Mary Jo Peterson, CAPS, on behalf of Delta Faucet. "Homeowners want safe functionality, but don't want to give up attractive design. The ultimate design goal starts with an emphasis on user-friendly products with a great aesthetic that is easy to maintain. Products must be easy to grip or grasp, easy to understand and operate, and, when possible, they should include fail-safe features. Subtle integration of safety and support are also critical."